There was once a time when royals of the Vijayanagara Empire flocked to Bangalore (now called Bengaluru), their summer abode, far from the scorching sun of their residence. It’s been centuries since their decline and how the times have changed! The city crowd is always looking for quick getaways, and Mysore, hot or not, always makes the list—it was, after all, a capital for the royal court for centuries and continues to hold regal appeal. About 150 km from Bengaluru, Mysore can only barely be experienced over the weekend with everything it has to offer, but one sure can try. A trek to the Chamundi hill may be the perfect start. If you start early you can reach the hilltop for sunrise and watch the mellow light wash over the entire city. A quick peek into the famous Chamundeshwari temple at the top, a chai and pakodas break and you are set for a day of exploration. If you are there on a Sunday though, you may want to consider going to the hill when the Mysore Palace is lit and watch it gleam from atop. 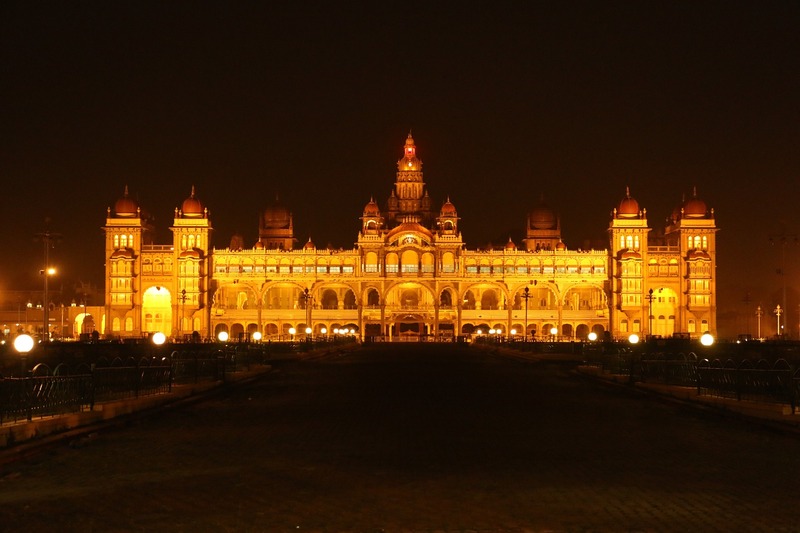 The Mysore Palace is a sight like no other, royal with its glittering facade and untouched interiors. Speaking of the Mysore Palace, it would be sinful to miss this dazzling display of art, architecture and wealth that has managed to remain almost untouched over time. 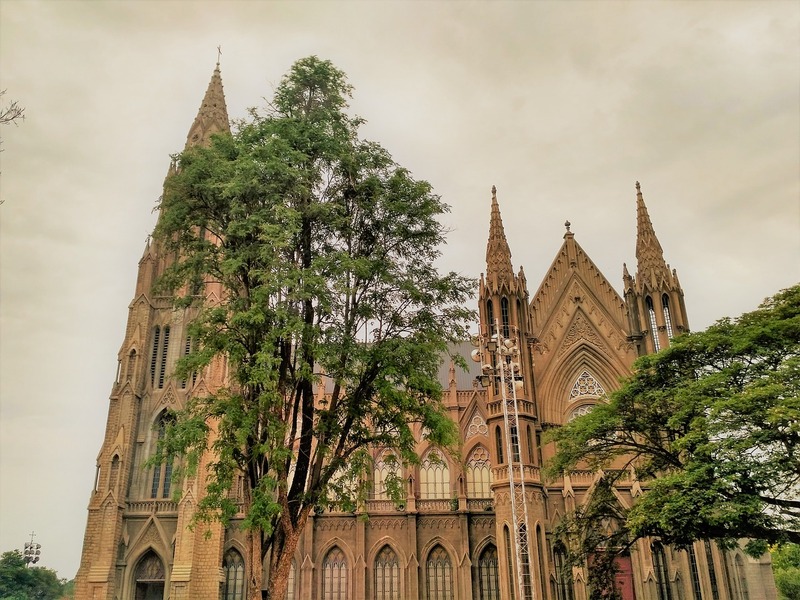 Add to this a visit to the Jaganmohan Palace which houses the most exquisite southern art and St Philomena’s Cathedral and you have yourself enough history. 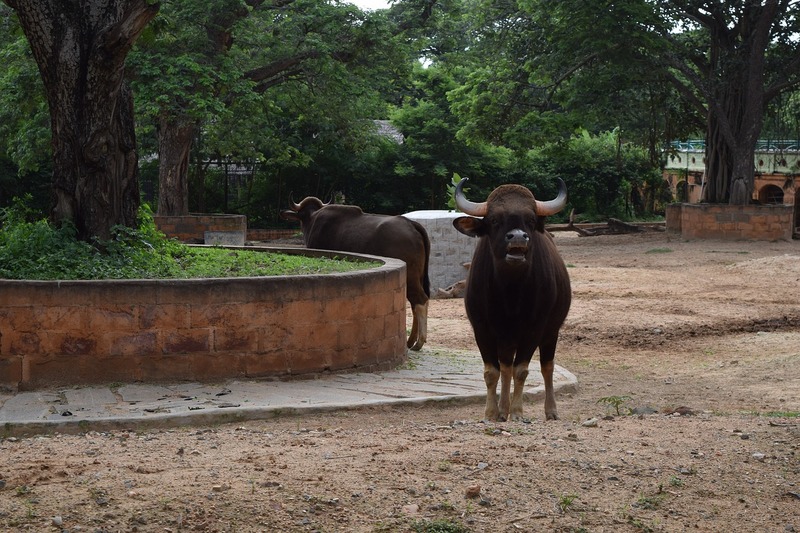 The Mysore Zoo is a must—tigers, lions, jaguars, giraffes, leopards, crocodiles, wallabies, sloth bears, zebras… the list goes on. The Sand Sculpture Museum is worth its money, as is the Regional Museum of National History and the Jayalakshmi Vilas Mansion Museum Complex. But if there is anything worth experiencing in the city, it is its free spirit. Food is never an afterthought, and while there are watering holes too many to count, some of the best for a meal fit for a hungry Maharaja would be Poojari’s Fishland, Bopy’s, Hotel RRR and Vinayak Maylari. Getting There: Mysore has flights and trains connecting it to all major cities. It is a little over a three-hour drive from Bengaluru. Stay: Mysore caters to all budgets with its stay options. Radisson Blu, Country Inn & Suites, Royal Orchid Brindavan Garden Palace & Spa are great options for those seeking luxury. If you’re not, there are plenty of B&Bs to choose from. Travel Tip: A lot of the tourist spots are closed on Monday, so plan around it. • Mysore Dasara It is the time when the city is at its liveliest. The Chamundi hill is where the demon Mahishasura was killed by Goddess Parvati, here named Chamundeshwari, and the festival is celebrated with much fanfare. • Eat You cannot leave Mysore without trying the famous Mysore Pak. The sweet, which dates to the reign of Krishna Raja Wadiyar IV, is known for its rich, melt-in-themouth texture which will have you wanting more. • Go trekking The Chamundi hill is 1,001 steps away if you feel up to a climb. The steps were built in the 17th century by the then ruling Wodeyar (or Wadiyar) king and is located behind the JCB College area. 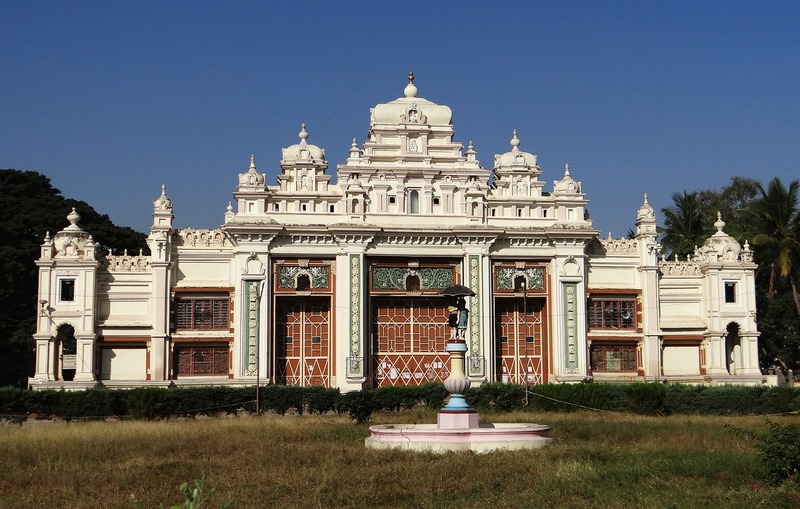 • Shop Close to Mysore is the toy factory of India, Channapatna. Known for its unique wood work, the toys are a must-buy. Also shop for sandalwood craft, if your pockets allow it.